ASD desuperheater has a steam atomized design. It is suitable for the installations, where precise temperature control is needed, as well as precise tuning and adequate spray of the cooling medium if low velocity of the steam in the pipeline happens. ASD desuperheater incorporates the use of high-pressure steam for rapid and complete atomization of the spraywater. 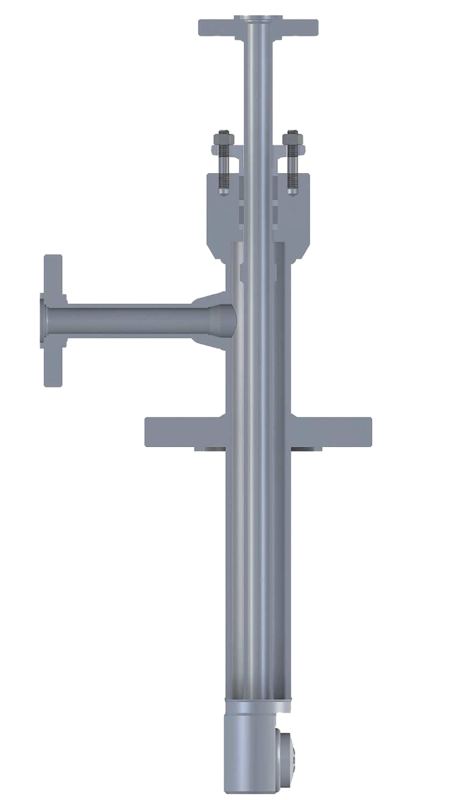 The atomization undergoes in steam assisted nozzle placed in desuperheater’s head. The atomizing steam (supplied through upper connection pipe), usually of supercritical velocity, is used to atomize the water into the very small droplets. These smaller droplets allow for faster conversion to steam and permit the water to remain suspended in a low steam velocity flow. ASD handles applications requiring very high load changes (rangeability up to 60:1). Fed with cooling water externally (through separate side connection pipe) maintenance-free ASD desuperheater has not any moving or quick wearing parts. It is assembled to the flanged connection pipe of the steam pipeline.